Condition: New Brand: Bosch Shipping Weight: 0.7 lbs. Specifications Shipping Weight 0.7 lbs. 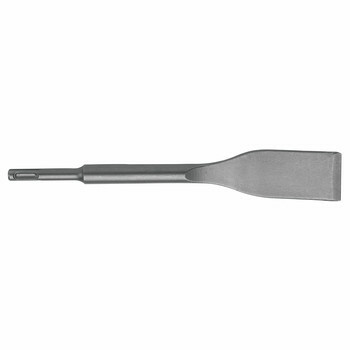 Type Tile Chisel WHY OUR CUSTOMERS KEEP SHOPPING WITH US SECURE & HASSLE FREE SHOPPINGAll items are covered by manufacturer warranty. FAST SHIPPINGMost orders ship within 1 business day via UPS Ground shipping! CUSTOMER SERVICEWe are available 7 days a week. Call us toll free: 800-714-0969 CUSTOMER SATISFACTION GUARANTEEDCPOs commitment to 100% customer satisfaction is backed by a 30-Day Money Back Guarantee for New items and a 60-Day Money Back Guarantee for Recon!